The decision to get a divorce is never an easy one to make. Depending on the reason for your divorce, couples separate and end on bad terms. They harbor resentment for past wrongdoings and use this as motivation during typical divorce proceedings. Divorce battles are notorious for being expensive, time-consuming, and acrimonious. But on rare occasions, the marriage ends on good terms. Sometimes a marriage just simply doesn’t work out. When you and your soon to be ex-spouse are still amicable with each other, then there’s an alternative dispute resolution called a collaborative divorce. A collaborative divorce is a legally binding divorce agreement between the two spouses without the stress of going to court. Decisions such as child support, child custody, child visitation, division of assets and spousal support will all be agreed upon over the course of several meetings outside of the courtroom. These meetings will be held over the course of several months between the spouses and the people helping them craft their collaborative divorce agreement. There are several people involved in helping craft a collaborative divorce agreement. A collaborative divorce attorney for each spouse, financial planners, child psychologists and any other people that the spouses agree upon can be involved in the collaborative divorce process. This process is used to reach an agreement that is beneficial to both spouses while keeping their financial and emotional well-being in mind with the long-term goal of avoiding litigation and judicial intervention. Each spouse will meet with their “team” privately to discuss what they are willing to compromise on or on terms that they’ve agreed upon verbally with their soon to be ex-spouse. However, the attorneys that are used during these proceedings are ineligible from representing spouses in divorce court. Part of the collaborative divorce process is signing a no-court agreement that mandates that the attorneys are not allowed to represent you in litigation. What’s The Difference Between A Divorce Attorney And A Collaborative Divorce Attorney? Traditional divorce attorneys are known to be strong litigators and represent their clients aggressively. A collaborative divorce attorney is known for their negotiating skills. The goal is to come to an agreement that everyone will agree upon that’s not mandated by the court. They will know your limits, represent you in the negotiation and have your best interest in mind. Typically lawyers give legal advice and tell their clients what to do. A collaborative divorce attorney will empower their clients to make their own decisions that fit their lifestyle best. 1. Certainty of Outcome: When you got to court for your divorce, you are letting a judge make decisions for you based on arguments provided by your divorce attorney. You have no idea what the agreement will end up being until it’s already mandated by the court. With a collaborative divorce, you will know the outcome as all of the terms are agreed upon by you during the process. 2. 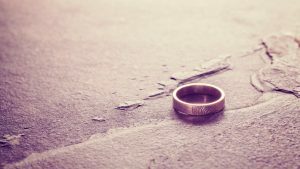 Time: Filing for a divorce is easy, however, the litigation process can take anywhere from six months to several years depending on what matters need to be worked out such as child custody and support. A collaborative divorce can be a much faster process depending on the participation and the spouses’ willingness to negotiate. In some cases, it can be completed in as quickly as two months. 3. Cost: Most divorce attorneys work on a monthly retainer. The longer the divorce process, the more you will end up paying. And there are court associated costs as well. A collaborative divorce attorney will save time and money. If you plan on filing for divorce from your spouse and the two of you are both on good terms, then there’s a chance that you might be a good candidate for a collaborative divorce. Many of our attorneys are skilled in the negotiation process and will be an advocate for you. We also have several relationships with other professionals who can help work out visitation schedules, custody payments and other aspects of the divorce agreement. Don’t hesitate to contact us to discuss the nature of divorce to determine whether a collaborative or a traditional divorce is the best route for you to go.